In November, I had the pleasure to participate in "Bubble Dream", an amazing charity fashion show in favor of autistic children and adults. This was my first fashion show of the season so I was very exited to take part in it, especially as it was for a good cause. Here are some pictures from the event which took place over two days at Brussels Tour & Taxi venue. I presented my original collection along with two new additional short dresses. Along with me, 16 others fashion and accessories designers joined the show. And what a show...! Coordinated by the talented choreographer Joelle Morane, every presentation was brought to life thanks to a series of great dance performances. 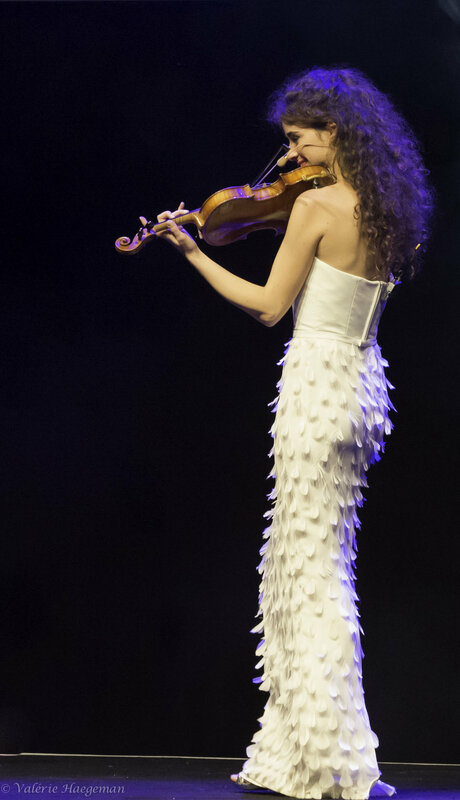 One of my favorite moment was to see the talented violonist Mathilde de Jenlis wearing the Dahlia feather dress while playing. On the second day I decided to wear one of my own design too, a black and white stripped organza dress (which you might have see here before). A warm thank you to the Bubble Dream organisation panel, the volonteers, the designers, the public and especially to Muriel Francqui! !